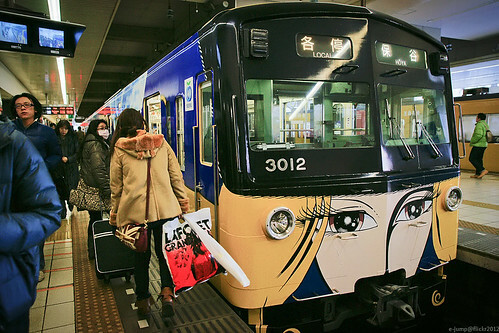 Galaxy Express 999, originally uploaded by e-jump. Out of my way, im off to the galaxy. They had custom decorated cars to Toshimaen, and this is one of em.